Two gunshots changed Qiao’s life. The first was to scare off attackers bludgeoning her mob boss boyfriend on the hood of his car. The second, fired moments later, was to announce herself, to assert a place in the underworld, to take control over her life. For those two gunshots, Qiao, who had previously yearned to settle down and live a family life, would do five years in prison for the man she loved. When she gets out, the life she pictured would be direly shattered. What hasn’t changed is the passion that fired the second bullet. A jianghu romance mirroring China’s spiritual transformations in the 21st century, ASH IS PUREST WHITE sees recent film history as national counter-history, revisiting the milieus of Jia’s previous films Unknown Pleasures and Still Life to imagine the epic love story undergirding decades of technological and economic change. 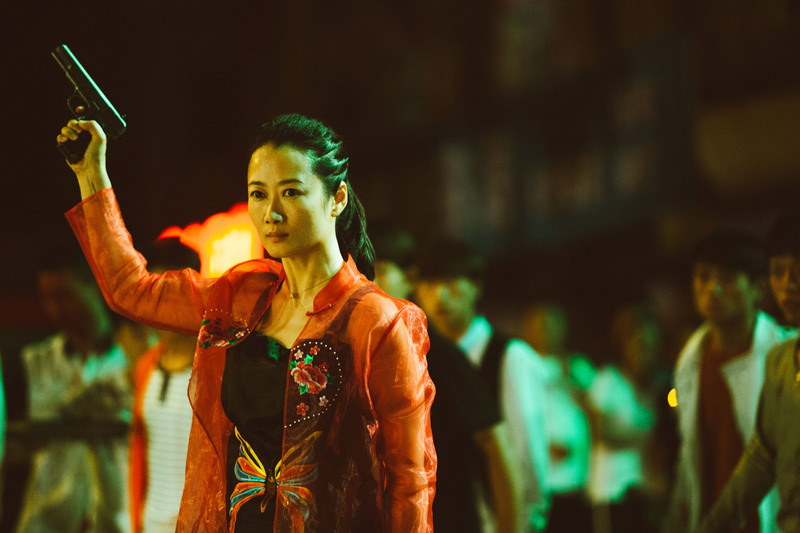 Qiao and her gang brothers retain faith in seemingly timeless notions of loyalty and righteousness, values that quiver under pressure, betraying the reality that they were invented out of post-Deng aspirations, John Woo action melodrama, and 90s love ballads from Taiwan. Now in her eighth feature collaboration with Jia Zhang-ke, actress Zhao Tao carries those contradictions – romantic passions vs. the vicissitudes of survival – with a ruggedness that never betrays the balletic innocence of her first films. ASH is in many ways a chronicle of her career and the spirit she’s created as a mirror to China’s changes. As the film echoes her characters in The World and Still Life, it reluctantly accepts a world irreversibly changed. 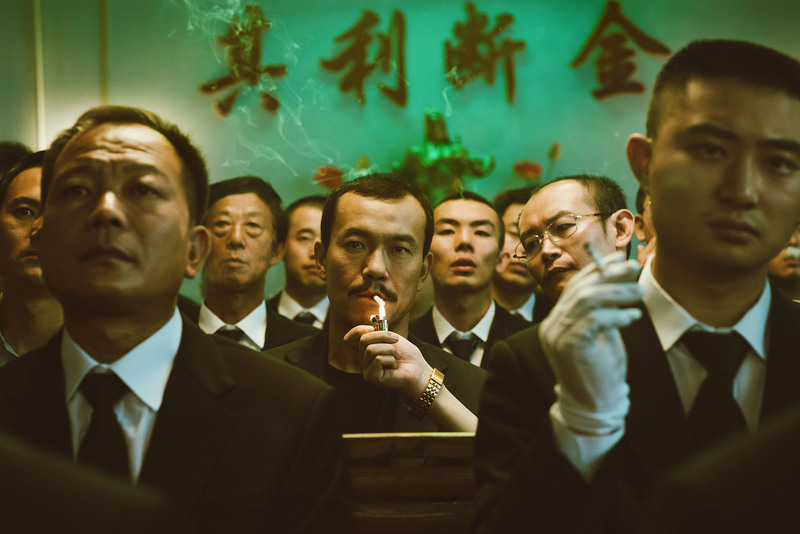 And for wandering jianghu heroes or shape-shifting independent filmmakers, nostalgia is pining for a past that was always already a fantasy. Ultimately, what’s real is the Sally Yeh track on repeat in the mind and the inextinguishable fire behind the eyes.